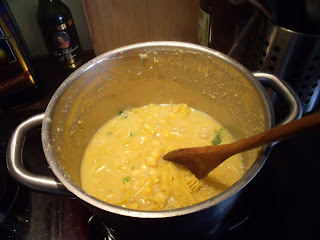 okay, okay.. this is not a 10 minute recipe.. but it is well worth the effort! And if you do it the way I outline it here, it really doesn't take very long. The added advantage is that grains + legumes = complete protein, so this is a great, nutritious meatless meal.. antennas up my vegetarian and vegan friends!! First of all, the whole process starts the night before you want to make "Pasta e Ceci". 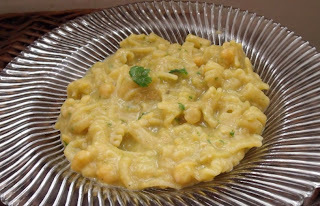 Figure on about 70g of dried chickpeas per serving. 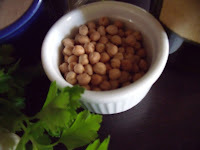 Weigh out your chickpeas and put them into the pot you will be using to cook them. 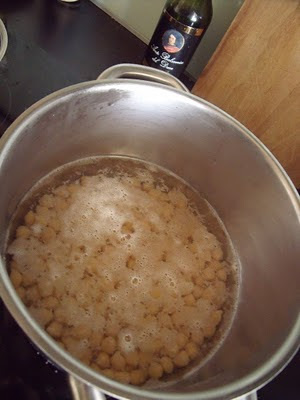 Add enough water to so that the surface of the water is about 1 inch from the tops of the chickpeas - that sounds complicated! 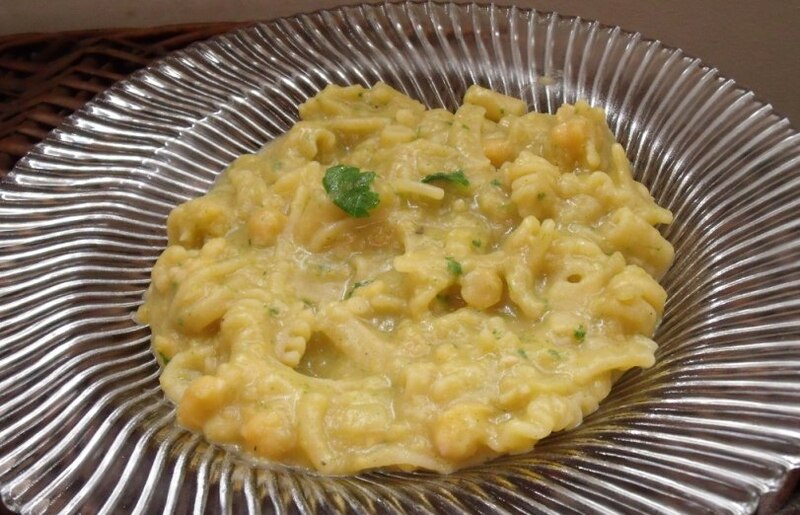 Just make sure the chickpeas are totally covered with water. At this point I add 1T of bicarbonate of Soda (you know.. good old Arm&Hammer) to the water. My father-in -law used to say that you would get a creamier texture this way. Cover the pot and just let it sit on your counter until morning. 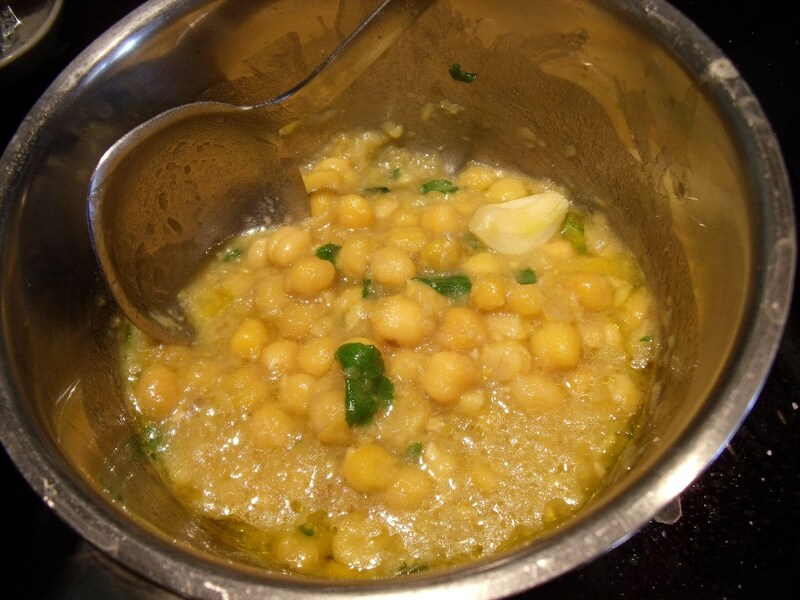 When you wake up and look in the pot, this what your chickpeas will look like, more or less. Drain them in a colander and rinse well under running water. 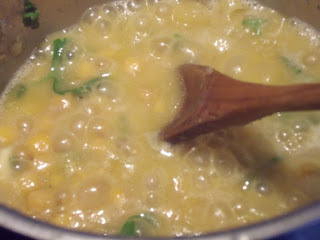 Rinse out the pot to get rid of any traces of baking soda and put the chickpeas back in the pot. Cover with water and cook over med/high heat until they come to a boil. DO NOT ADD SALT. As they cook, a foam will form (see next photo). 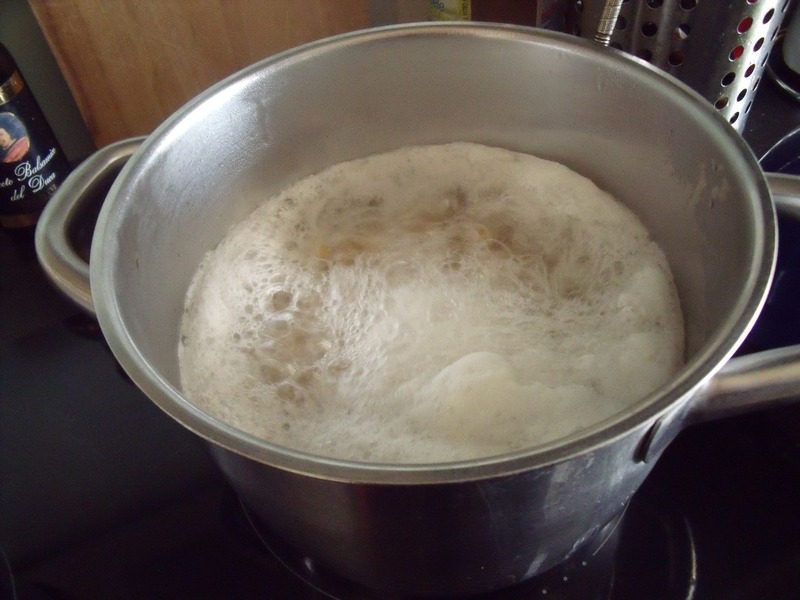 Use a skimmer to remove the foam and lower the heat to simmer. Cook for about 25 minutes. At this point, cover the chickpeas until you are ready to start fixing your meal. 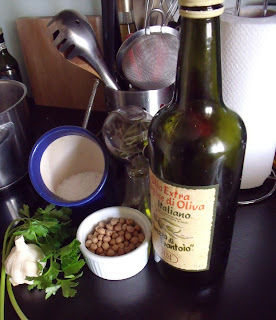 ok so now you are ready to actually make your "Pasta e Ceci"! 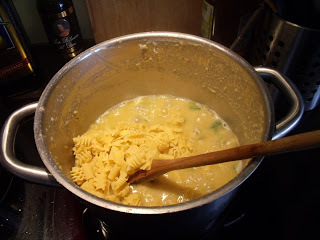 I forgot to mention, this is also a good way to use up all that pasta in your pantry in amounts that are not really enough for a meal! This is the mix I used today. They should be types with similar cooking times, other than that there is no rule, except to break up spaghetti or other long pasta. 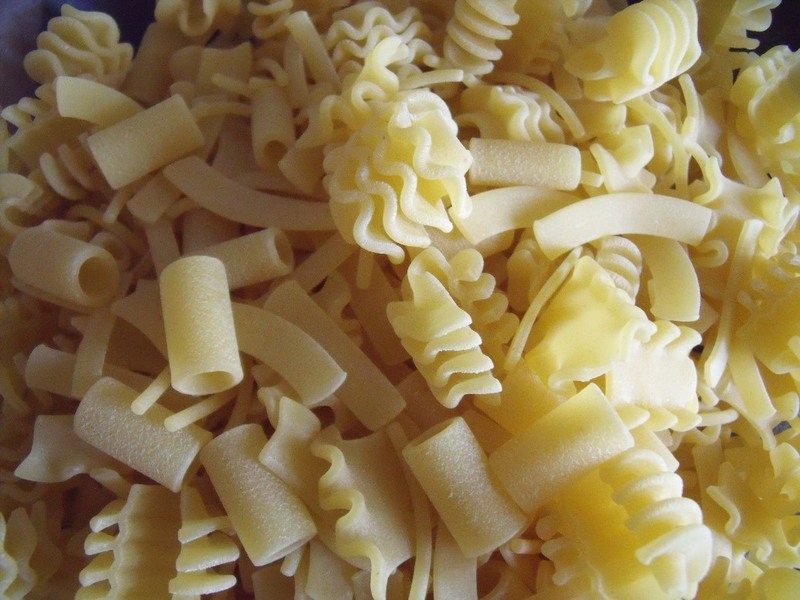 Use less pasta tthan you usually would use per serving. In our case - about 80g per person. 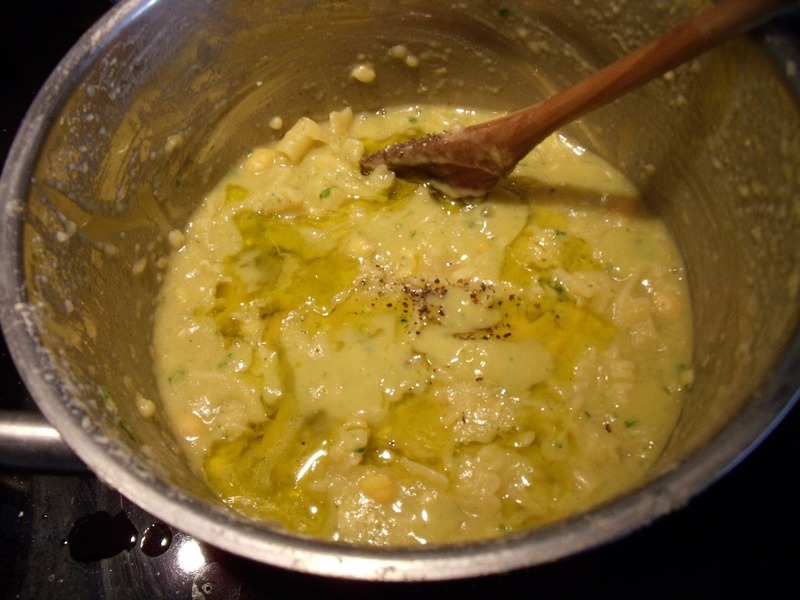 Turn the burner on to med/high heat and add a nice handful of parsely leaves coarsely chopped, a couple of cloves of garlic, peeled and cut in half, salt to taste. And bring your chickpeas to a boil. The ceci are also delicious just like this, seasoned with olive oil and black pepper and served with crusty hot bread! After about 5 min, your chickpeas will look like this. As you can see they start to break up and get creamy. and stir it down. 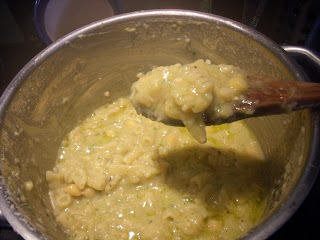 This is the hardest part because you have stir frequently and add a little water if you need it. So you have to watch the pot carefully! Use a wooden spoon to stir and scrape the bottom of the pot frequently so the creamy mixture does not stick and burn. 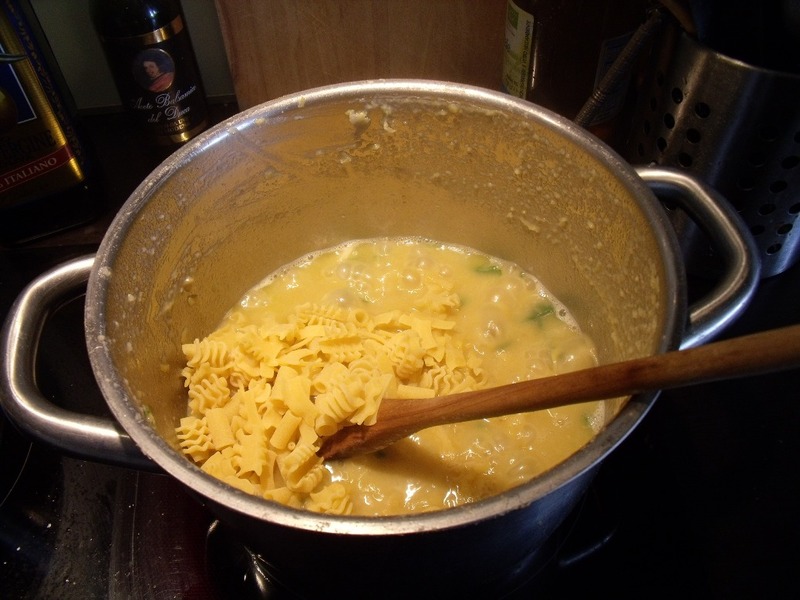 When the pasta is cooked to the consistency you like, add a bit of water if it is too thick for your liking. We eat ours pretty thick and hearty. Add several tablespoons of extra virgin olive oil and some freshly ground black pepper and add salt, if need be. This is a delicious meal on a cold winter's day. It is a complete meal so all you need is a tossed salad and some fresh fruit to finish.